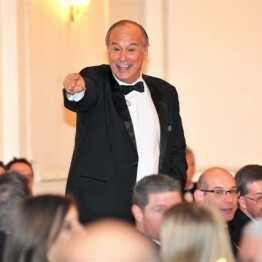 Feedback: “Thank you for your excellent entertainment of the 200 members and guests at our annual dinner. A good speaker treats the audience as friends in his living room, and that was just how it seemed last night. Feedback: “Hi John, trust you are well and over the excitement of a visit to Cardiff! On behalf of the Chairman, committee and assembled guests I’d like to thank you for your excellent contribution to our event, they were the quietest and most attentive for many a year. and from note to booking Agent: “As our speaker last year, John Simonett was so well received, one of the options we are considering is to invite him back again this year…. David Moore - South Wales and the West Branch, Institute of Chartered Shipbrokers.